Spay/Neuter, Inc. - VOLUNTEER WITH US!We could save SO many more animals if only we had more foster homes!! 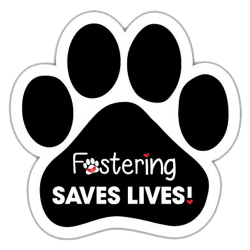 If you would like to volunteer by fostering animals in need, please call Nita at 540.480.7582 Click on the paw to learn more about fostering a homeless pet! 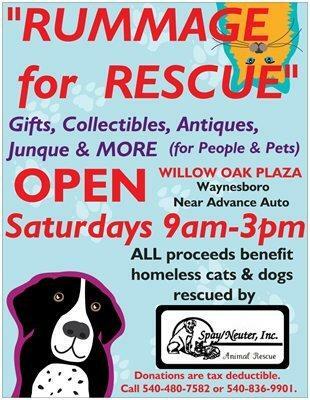 We need help at our thrift shop in Waynesboro! Please contact us if you'd like to help! Click on the paw to learn more about fostering a homeless pet! We need help at our thrift shop in Waynesboro! Please contact us if you'd like to help! We're always looking for great volunteers who can share their knowledge, expertise and ideas with us to better serve the needy animals in our area! If you'd like to help, please click here to download our volunteer application! Email your application to spayneuterinc@yahoo.com or drop it in the mail if you prefer! If you prefer to mail a check, please use the address listed below, and THANK you!! DO YOU SHOP ONLINE? YOU CAN HELP RAISE MONEY FOR US BY THE CLICK OF A MOUSE!